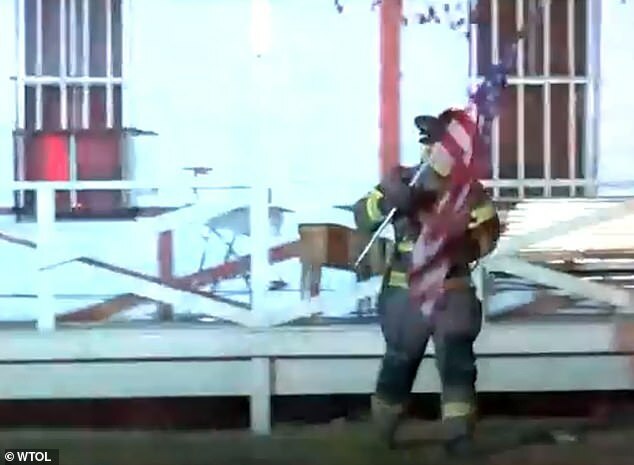 An Ohio firefighter was captured on film dramatically rescuing an American flag from a Veteran’s home that had gone up in flames. 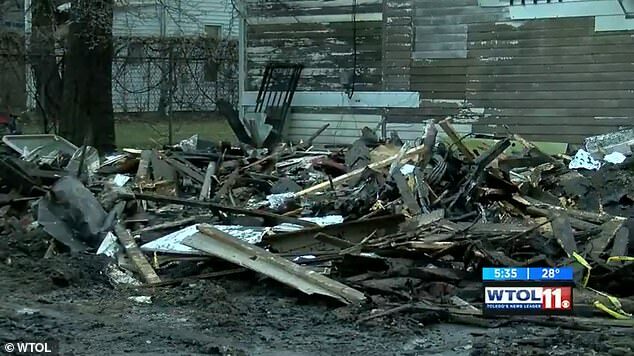 Allen Skomer, a firefighter from Toledo, was helping his comrades battle a blaze that tore through the home of a Vietnam vet early Friday morning. 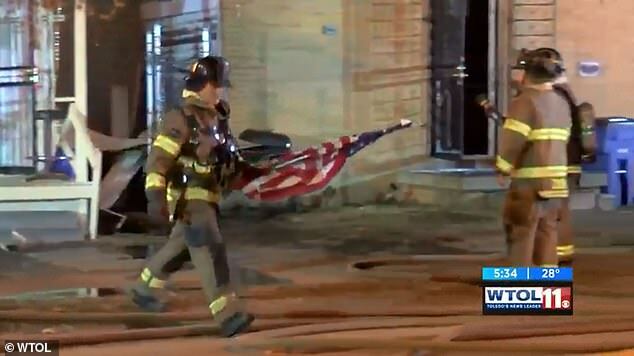 Skomer, himself a Navy veteran, noticed the flag while responding to the blaze on Junction Avenue in Toledo, WTOL-TV reported. 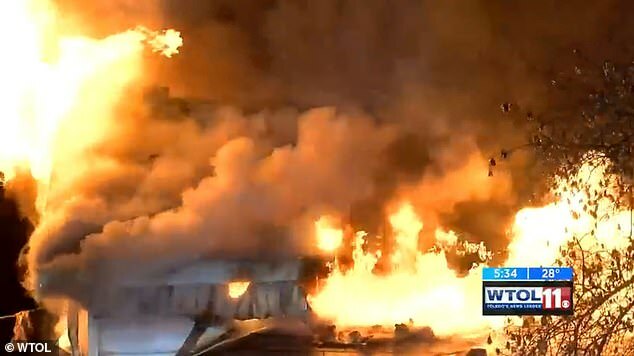 ‘I was helping one of the rookies throw a stream in between those two structures, to keep that second structure from burning,’ Skomer said. ‘That’s when I noticed the colors waving with the flames behind them. ‘I didn’t want to let it burn, so I went and grabbed it. ‘I’m an eight-year veteran of the Navy. It’s just a knee-jerk reaction. I didn’t want to see the colors go up. The owner of the home which caught fire has not been identified, but a friend, Christy Depp, said the flag is important to him. ‘That was a brand-new flag,’ she said. 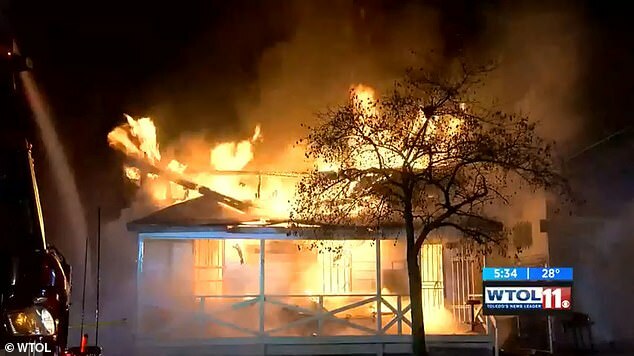 Skomer said that moments after he removed the flag, the house caved in on itself. 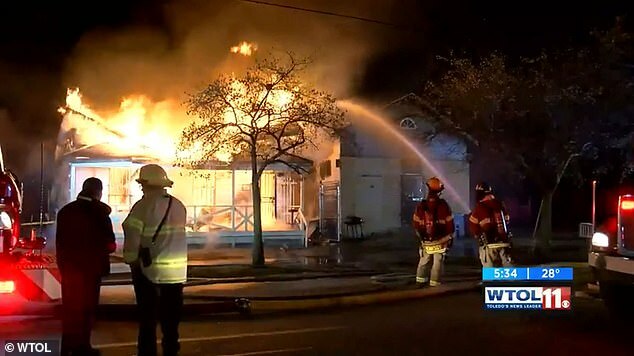 ‘I think shortly after … the roof became fully involved and it collapsed on itself,’ Skomer said. 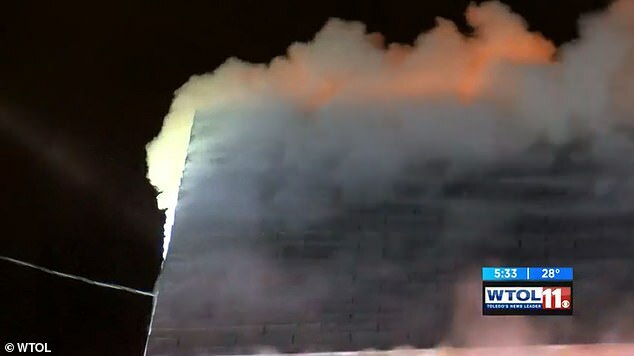 ‘We were able to save the adjoining structure. So I believe the flag got put back in there so the owner can keep it. Depp said that the homeowner, whose first name is Bob, is known in the community as a giving man. ‘Bob’s a good man to the community, to us. He’s a veteran,’ she said. ‘A lot of the homeless that walk up and down the streets, he feeds them. ‘[He] cooks for them and everything and never turned nobody down, nobody down. 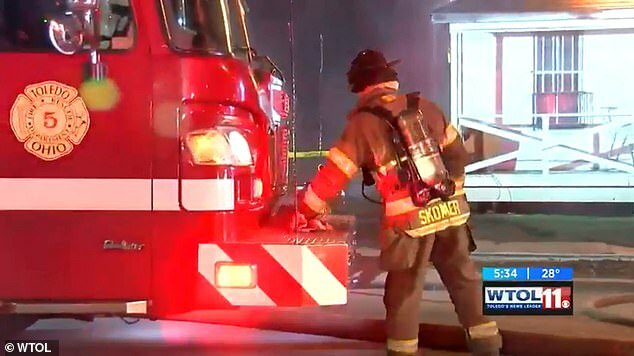 Sterling Rahe, a spokesperson for the Toledo Fire Department, praised Skomer’s actions. ‘Patriotism is something that I think is overlooked these days,’ Rahe said. ‘That flag is the core symbol of our citizenship and we should be thankful for the freedom and what that flag represents. ‘It’s a proud moment. Respect for the flag runs deep within our department. ‘It’s a great moment for Al to take be able to respect the flag and do what he did.